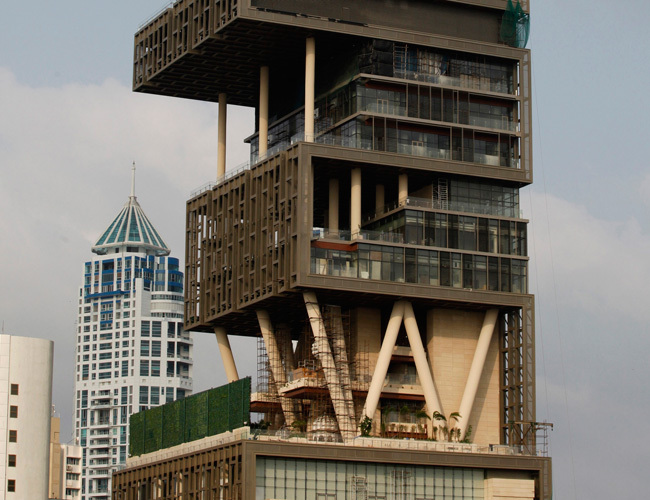 Mukesh Ambani‘s ‘Antilla‘ in the heart of the city is the ‘ Talk of Mumbai ‘, …consists of around 60 storeys .The bungalow is aesthetically designed taking into consideration Mukesh Ambani‘s. The colours are warm, with reds & orange extending to the furniture & walls.A huge chandelier adorns the dining room, which is fit for a king.There are 6 floors of parking,2 floors for maintenance. 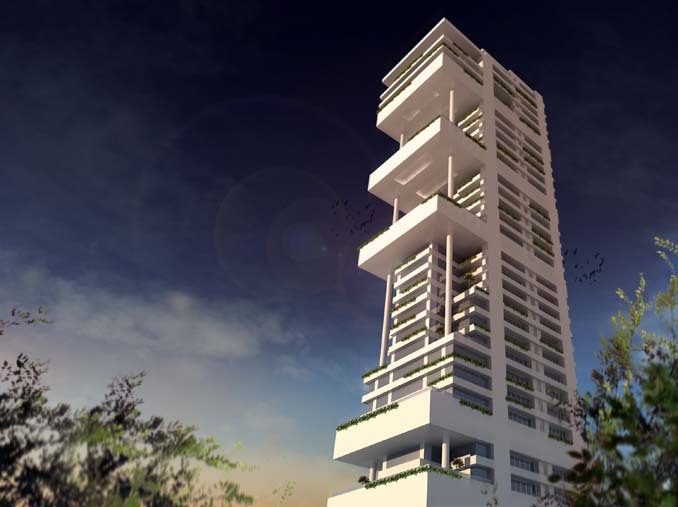 Also the balcony with gardens and an elevated garden.There’s a 50 seat auditorium, health centre, glass fronted guest apartments.There are 4 floors for the family.The topmost floors consist of a helipad & air traffic control. The building is spread in 400,000 Square feet area. Its total value is around rs 84 billion. 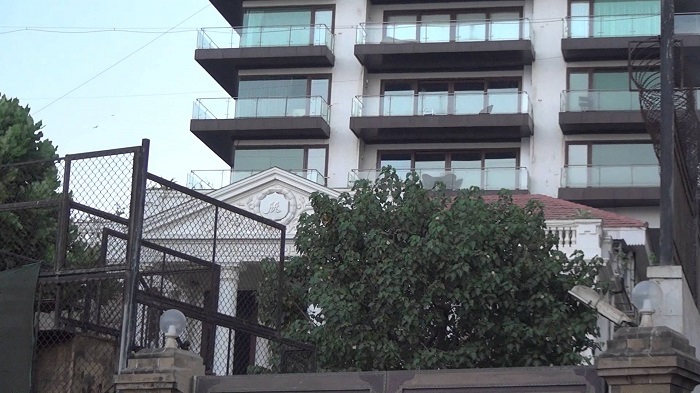 Ratan Tata the owner of the Tata Group of Industries has his abode at Colaba.He’s one of the most respected industrialists of the world. 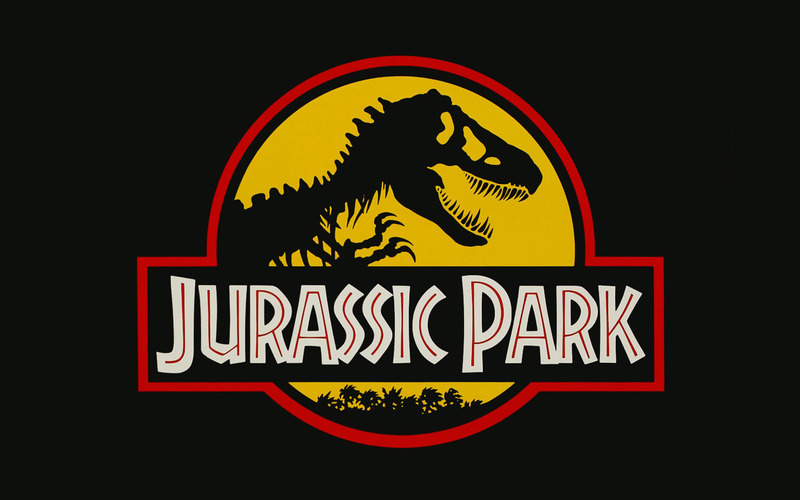 The area of the mansion is huge i.e. 13,350 sq. Ft.His home is modern & no less than a mansion. 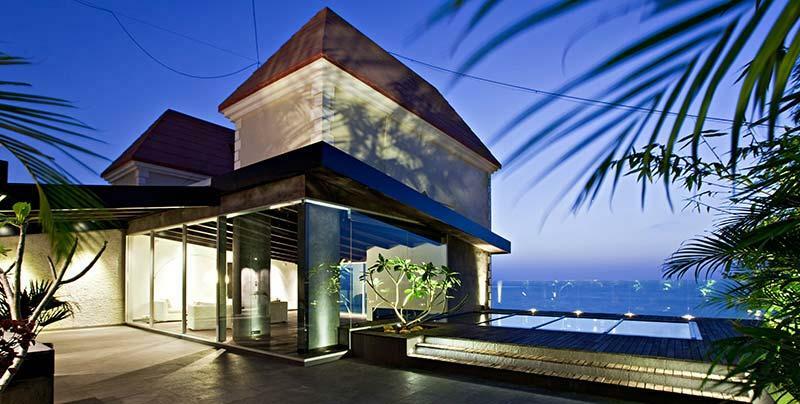 Spread in 15, 000 square feet area, it has 3 floors and six levels with an infinity pool at the top. The servants have the accommodation in the basement area of his house. The house has three floors which are divided into 2 levels.The mansion has all the lavish features and luxuries for an industrialist like Ratan Tata. 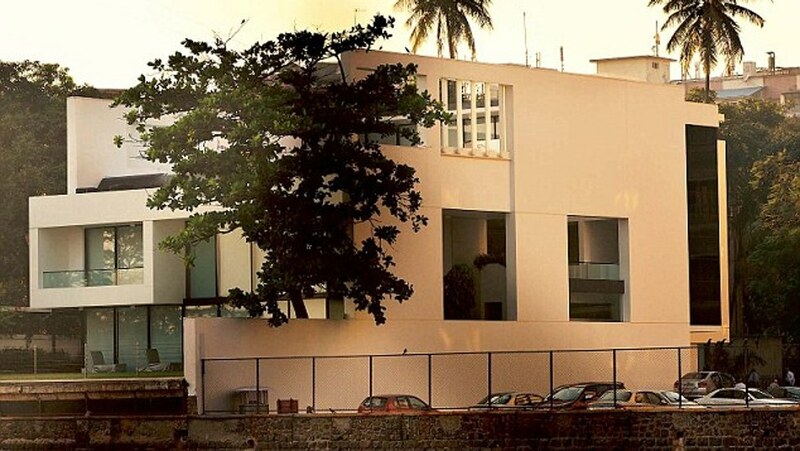 Gautam Singhania’s JK house which is situated at Breach Kandy Mumbai is surely one of the 10 most expensive homes in India. His home has 30 floors which includes 6 floor for parking, one for helipad, a museum, health centre and an apartment for each family member with all the luxuries. 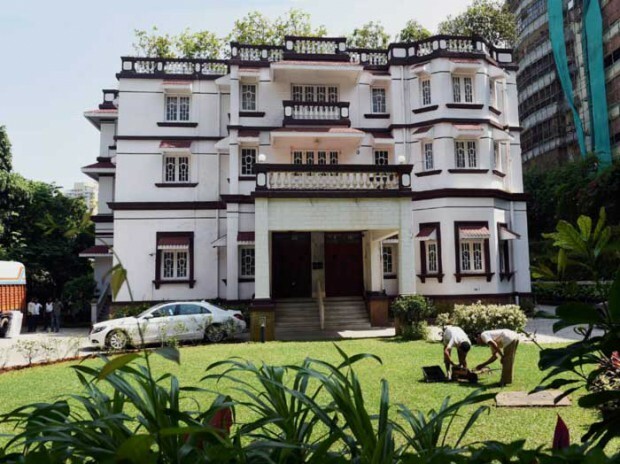 Kumar Mangalam Birla of The Birla Group of Industries is a well- known name.Recently, in one of the most expensive real estate transactions in Mumbai, Aditya Birla Group chairman Kumar Mangalam Birla purchased Jatia House in Malabar Hill for Rs 425 crore. 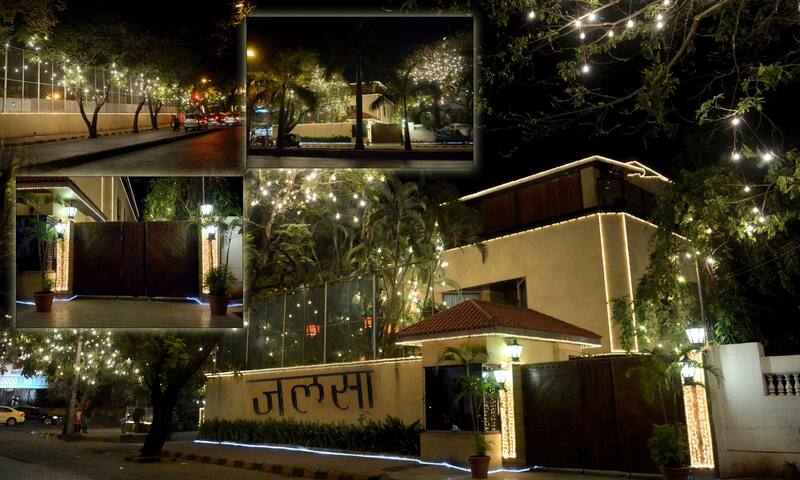 Naveen Jindal‘s is an expensive bungalow.The Industrialist turned politician, lives in a magnificent bungalow is located in Delhi’s leafy Lutyens Here prices have risen 8-folds in past one decade. 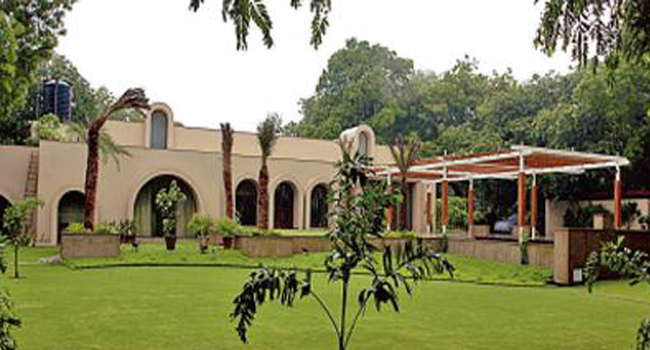 The zone also houses bungalows of other famous industrialists like Sunil Mittal, KP Singh, Naveen Jindal, and LN Mittal. Amitabh Bachchan‘s‘Jalsa‘….is truly captivating.The ‘Superstar of the Millenium’ greets his fans everyday from his verandah. He also owns ‘Prateeksha‘ & Janak( his office building).The exterior consists of a huge lawn and temple built by Harivanshrai Bachchan.The interiors include a living room with heavy furniture.Every room has been exclusively designed taking the color combination into consideration.The designs and colors are earthy with beautiful landscaping at every corner.His three buildings are at a convenient walking distance from each other in Juhu, Mumbai. John Abraham’s In the Sky Designed by his brother and father, this magnificent penthouse provides a perfect connect to nature with both, stunning views of the Arabian sea and beautiful landscaping, both inside and outside.Beautiful velvet furniture make the living room stunning.A huge chandelier lights the dining room .The exterior consists of subtle landscaping & a swimming pool.The interior has soft lighting & a cool color combination …mostly blues & greens.Though it’s value is almost rs 168 cr..its priceless ! Luxury, Comfort & Lavish are just few synonyms that describe these homes…oops Palaces!Whereever you go whatever you do ‘ Home is still….where the heart is!’.